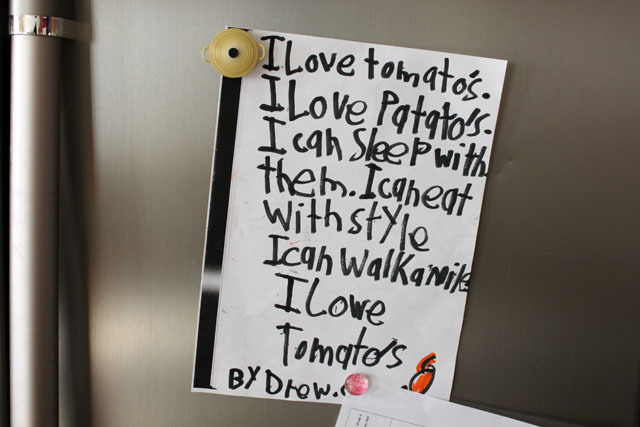 I love the latest fridge poem written by my nephew and had to share here. love. one of rowans best works of art is from around this time in his life. it reads: if you tasted like bubble gum i would eat you.